Schedule your Honda service today! Honda owners expect safety and reliability from their vehicle. So it makes sense to have qualified technicians perform quality maintenance on your car. It is your way of maintaining your Honda’s optimal performance in the years to come. Protect your Honda’s engine and schedule an appointment with us today. 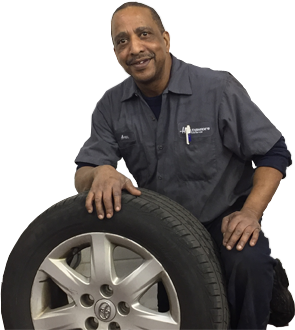 Hollenshade’s Auto Service has a long history providing honest and professional repair and maintenance services. We are a local business that has been serving Towson, Maryland since 1939. We provide a full-vehicle perspective to our diagnostic tests and use factory OEM parts. Schedule your service today! Your car battery provides electricity that powers your entire vehicle as well as its electrical components. By taking your car in for regular inspections, you can ensure that your battery delivers the right amount of voltage and energy. That way, you can keep your engine running smoothly whenever you drive. We repair and replace your Honda battery, charging, and starting systems. Our team will inspect your car’s electrical system and select the right battery for your vehicle. Equipment belts and hoses have a limited service life. Their life span can shorten because of age, tension, mileage, oil contaminants, and extreme temperatures. We conduct Honda belts and hoses replacement to keep them in top shape, no matter the season. Our transparent approach to doing business and accurate diagnoses ensure that the belts and hoses on your Honda stay in good working condition. Does your Honda meet emissions standards in your state? Take it to Hollenshade’s Auto Service to find out. We offer Honda emissions repair and maintenance in Towson, Maryland. During these tests, our team will assess your vehicle’s emissions system to determine whether it releases harmful pollutants. If your car fails these smog checks, we conduct a repair service and identify problems under the hood. Vehicle owners rely on their car’s electrical system for safety, convenience, and smooth operation. Get help troubleshooting and diagnosing your car’s electrical problems with our Honda electrical system repair services. The first time you bring your vehicle in for an inspection, you can expect a job done right the first time. We use diagnostic equipment to pinpoint the cause of your car’s electrical problems. Receive the highest standard in car repairs and maintenance by choosing us. We are a dealer alternative in Towson, Maryland. Our long-term multigenerational customers trust us because of our dedication to top-quality services.